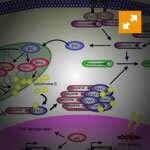 Apoptosis was originally defined by the morphological changes that occur with remarkable fidelity in a wide variety of cell types, regardless of cell lineage and the method of cell death induction. The morphological changes can occur rapidly after induction and include cell surface blebbing, cell and nuclear shrinkage. Consideration of morphology is the single most important method for detection of apoptosis and no other biochemical test or assay is available to replace microscopic observation. Researchers require alternative methods for scoring apoptosis that provide supportive biochemical evidence or quantitation of data. This can be particularly important in vivo when the later, more obvious morphological changes may not occur due to phagocytosis and cell removal, and in experimental systems when large sample numbers have to be assayed and screened. Once morphological evidence has determined that the mechanism of cell death occurs by apoptosis, continued stringent analysis using morphology is not necessary and a more convenient biochemical method is more appropriate. 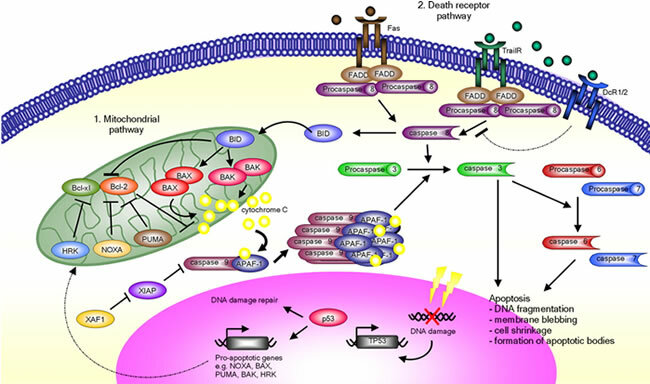 As elucidation of the complex and varied biochemical pathways leading to the execution of apoptosis continues, it is likely that the options available for apoptosis detection will continue to expand.